Cause I'm CRAZY, I asked Morgen to interview me. 1. Mr. Incredible is the All-American classic-looking boy next door. 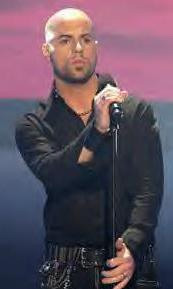 What is it about the non-boy next door- looking Mr. Daughtry that grinds your gears? Oh my. I mean. The Hotness. That's all I can say. The. Hotness. The voice. and the..... HOTNESS. 2. If you could have any career in the world, what would it be? For years and years, my answer to that question was Country singer. That desire has faded in the past few years since I haven't spent nearly as much time in a karaoke bar as I used to... Now it would be having a column where I could write about whatever I want. Or maybe just getting paid to blog. About whatever I want. Or maybe getting a job blogging for TVSquad. 3. Target is having a huge clearance sale. Do you stick with your shopping list, or go hog-wild in the clearance endcaps? Dude. I never go by my shopping list. I only make one so I don't forget something, but I ALWAYS get something more. At Target especially, that is why I try not to go in there! I cannot. control. myself. 4. If you could market a Dobby-related pet item, what would it be, and can we see a gratuitious smiling-Dobby picture along with your answer? 5. If you had to live in any other city besides Memphis, what would it be and why? 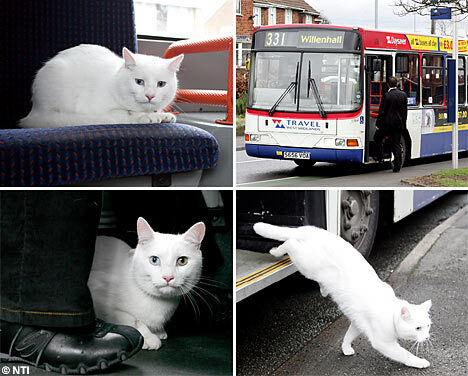 You have got to check out the cat riding the bus. 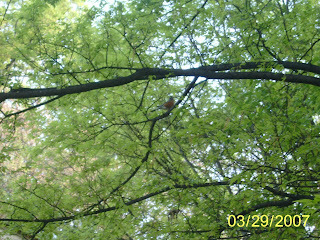 Here is the Momma Robin whose nest was featured in last week's Manic Monday. She was sitting on a BRANCH and keeping her eye on me (and tweeting her brains out) while I checked out her nest. One of the three eggs is gone now. But I'm checking the nest every day, waiting for the babies to hatch!